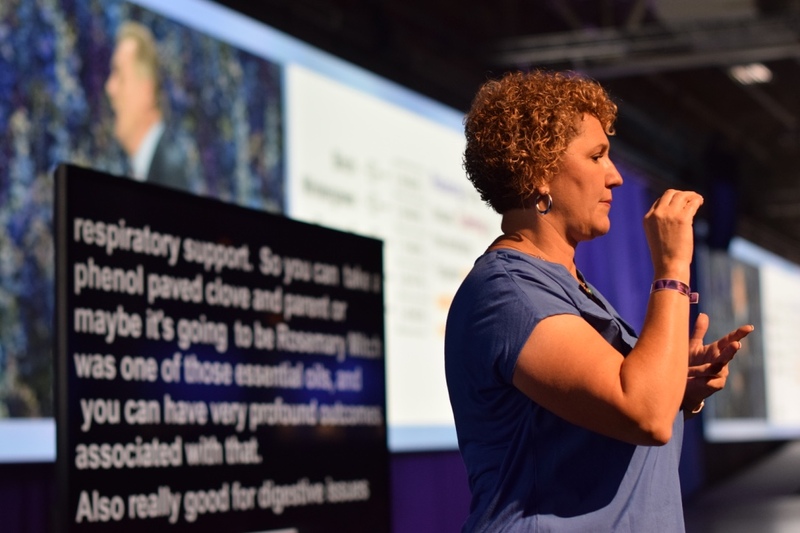 ONE Interpreting provides sign language interpreting, real time captioning, transcription and captions/subtitling for deaf and hard of hearing individuals, all available online. After eight years in business, more than 1,000 customers each year and 600 monthly invoices from different vendors, this QuickBooks® Online (QBO) customer needed a way to automate its bill payments, especially to the company’s fleet of contractors who help with interpretation. “It’s fun to be able to use technology to help deaf and hard of hearing individuals to have access and information,” said Clayton Call, executive director of ONE Interpreting. Since ONE Interpreting does most of its business online, the company wanted an online bill pay solution that would help save time. The company was already a QuickBooks Online user, so when Bill Pay for QuickBooks became available, ONE Interpreting began using the new feature immediately. “We love it, I don’t think we could ever function without it now. Bill Pay is huge for us,” said Clayton. Bill Pay for QuickBooks Online fits into how ONE Interpreting operates. All of the systems are online, where their contractors can sign on to their online portal to manage their work and invoicing. Before Bill Pay, Clayton used to have to take each contractor’s invoice information, input it into his or her bank’s online system, then pay each invoice through the bank, doubling the work for each invoice. Now, he handles bill payment in 10 minutes. All of the information required is already in QBO; he just selects who needs to be paid and then clicks submit. It’s easy to see how much is going out in checks and direct deposit on one screen. Clayton found that it easy to set up new contractors, since all the information is already in QuickBooks. It’s simple to enter in new banking information and the company reduced the amount of time to connect with each of the contractor’s banks. It used to take 7-10 days to connect and now it’s usually 1-2 days. “The biggest benefit we’ve seen with Bill Pay for QuickBooks Online is the time savings,” said Clayton. Bill Pay for QBO has changed ONE Interpreting’s business so it can spend more time focused on interpreting for deaf and hard of hearing individuals. Now that’s some worthwhile time savings! Editor’s note: Access the Bill Pay for Bill.com and QuickBooks Online from the QuickBooks App Store.